At Breathing Air Systems Engineering Ltd we carry out breathing air analysis to B.S. E.N. 12021.1998 Standard with the latest Factair F4000 Safe Air Test. 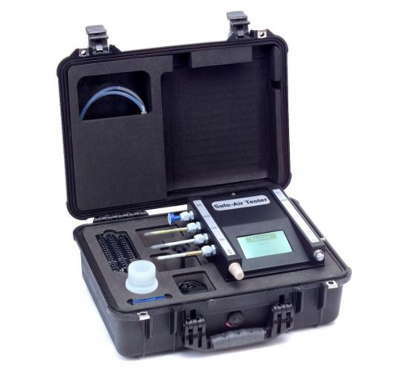 Air quality measurement device: the F4000 Safe Air Tester is the latest generation of air quality testing instruments and enables breathing air tests to be conducted easily and quickly. This ensures complete compliance with the relevant requirements of COSHH L5. The detection parameters of EN 12021 1999 are met or exceeded during the automatically controlled test by the use of Drager detector tubes to establish levels of carbon monoxide, carbon dioxide, oil and water. The correct oil test time can be selected from a list of over 360 compressor oils in the F4000’s memory. In addition the F4000 is fully compatible with the new Drager oil Impactor, which has no glass or hazard components and can test for all known synthetic and mineral oils. 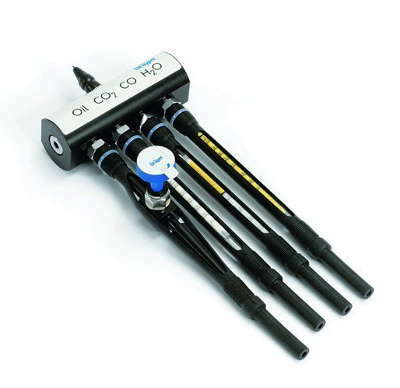 An inbuilt electronic sensor with digital readout measures the oxygen content, whilst an electronic flowmeter allows airflows up to 600 L/min to be verified. At the end of each test the results can be stored within the F4000’s memory and then downloaded via a USB memory stick connected to a PC to retain and print test results.